There are some things that’s imply never become old. Even in the world of smartphones and iPads, the charm of a ‘proper book’ is one of those things. Flipping through the pages, you can travel back in time, into another world and even another conscience. For all that magic, a book still presents you with one conundrum that all those titles on Kindle do not. Where do you stack that growing collection? 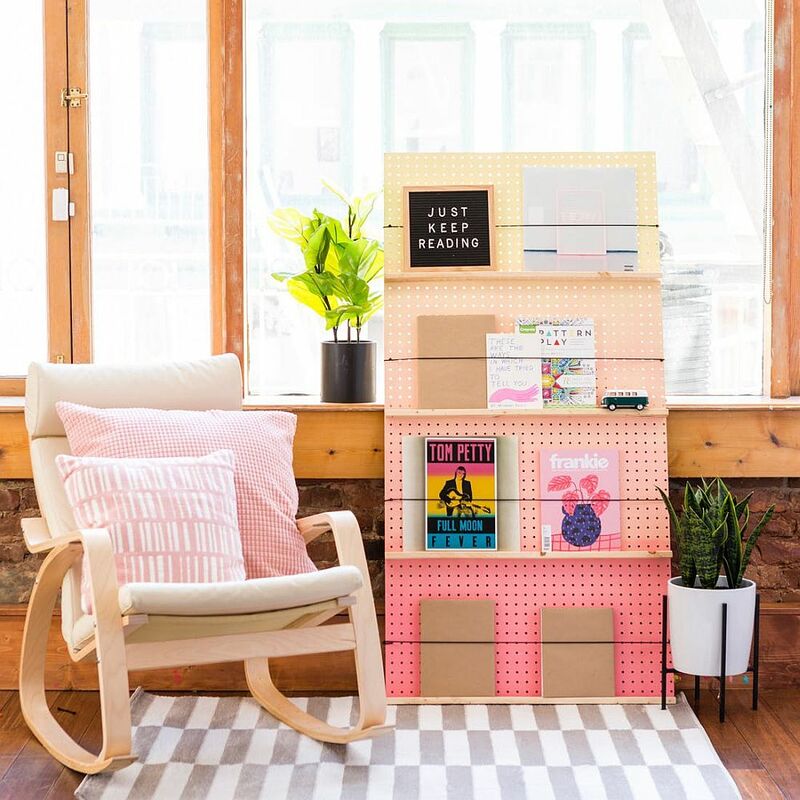 Whether you just want a small space for your budding book collection and magazines or are in search for something more expansive for your mountain of books, a DIY bookshelf offers the perfect solution! 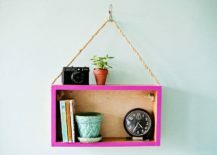 As always, DIY options definitely make it a lot easier on your purse strings and with homemade bookshelves; you also get a wider range of options. 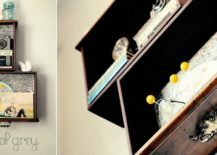 DIY Bookshelves come in as many variants as your creativity allows and you can even tweak the lovely design and inspirations that we have lined up for you today to create a custom, one-of-a-kind bookshelf. 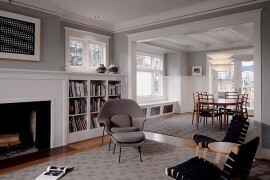 Some simply become a sophisticated part of our living room. 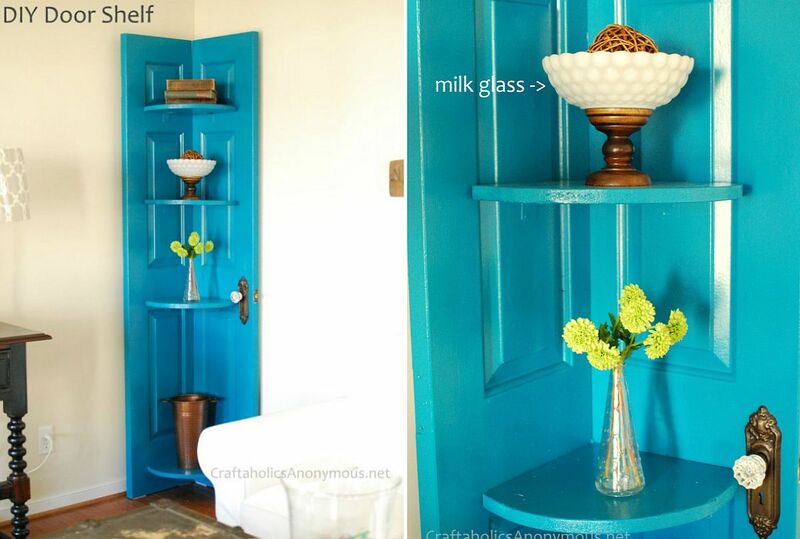 Others stand out visually even while allow you to recycled something old and forgotten. 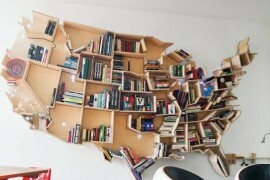 It is all about picking the bookshelf that works best for you! 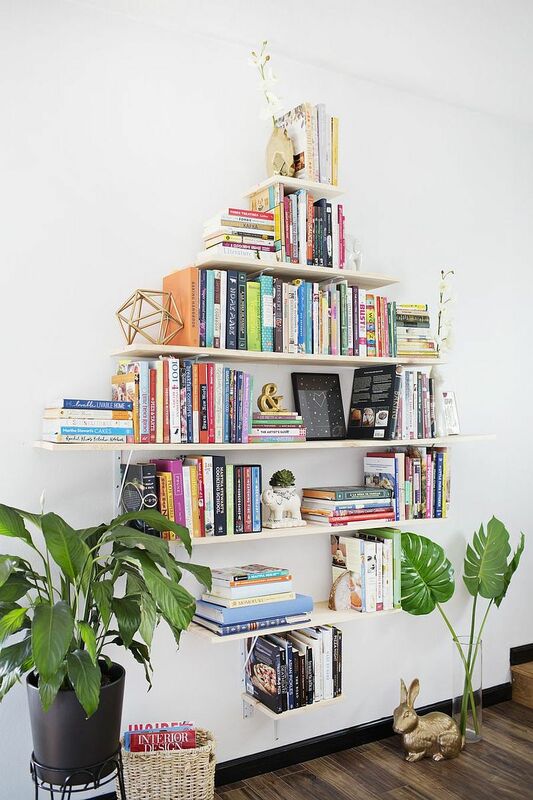 We start off with DIY bookshelves that easily fit into the modern home. 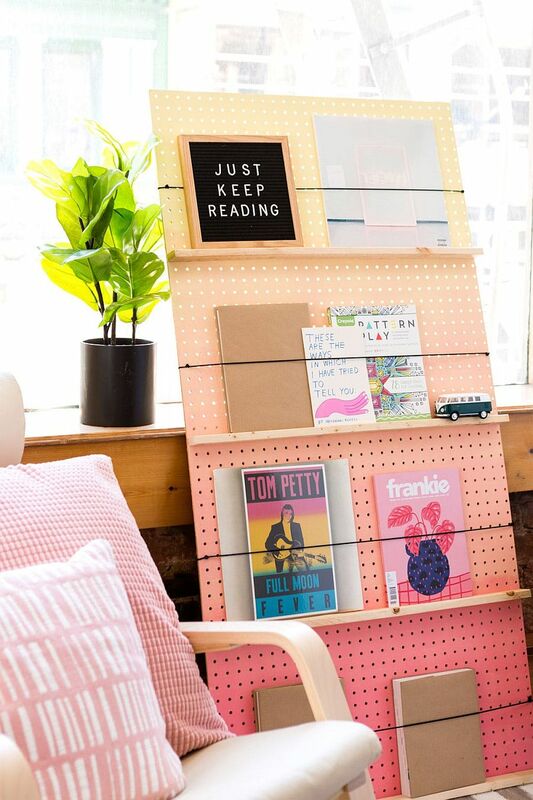 Our absolute favorite here is the gorgeous and chic ombre bookshelf with pastel ink goodness! 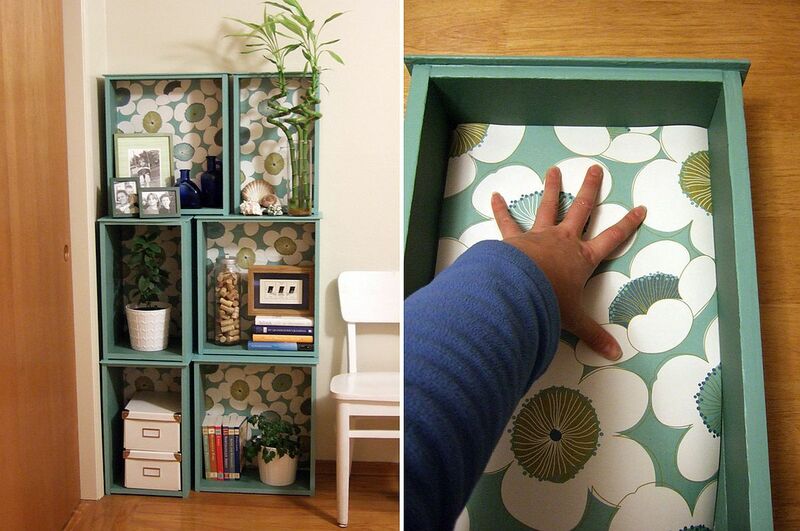 It seems super-elegant, easy to craft and you can place it in pretty much any room without much hassle. Its sleek frame means it barely needs any foot space and even a small corner would do just fine. 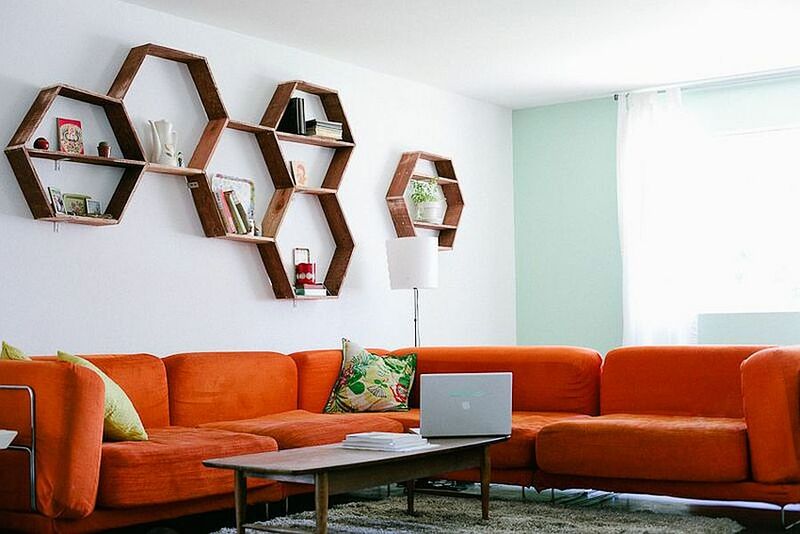 DIY Honeycomb Shelves is not your typical bookshelf idea. 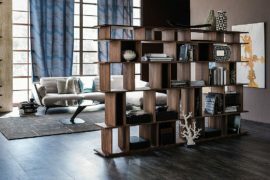 But these multi-tasking shelves can also hold your favorite page-turners with ease and would double as striking units that bring in geo contrast and hexagonal panache. 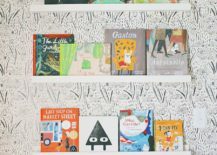 The Hanging Wooden Box Shelf is another simple and smart bookshelf idea that demands little work and offers sufficient space for a nascent book collection. 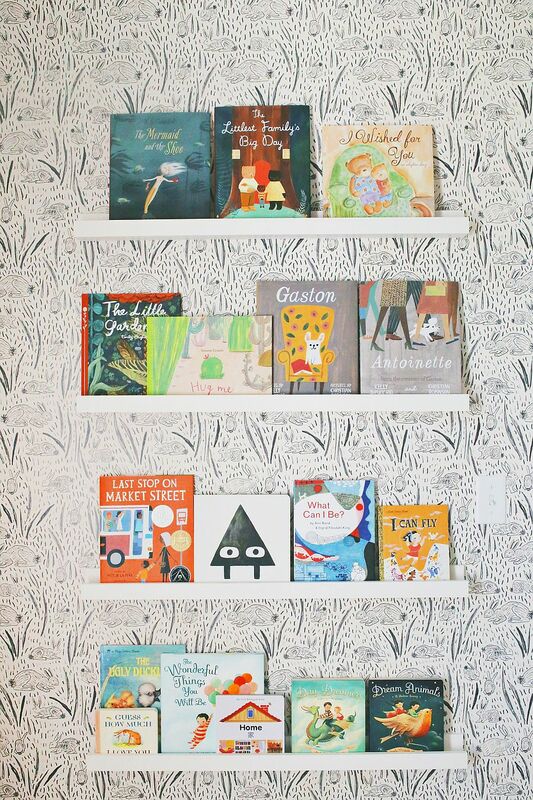 You can create a series of these seemingly casual bookshelves for more storage space while the slim and highly efficient floating bookshelves for the kids’ room and nursery also work well as a magazine rack in the hallway or home office. It is time to dig through the pile of old and discarded décor pieces that are relegated to the attic, basement or even garage. 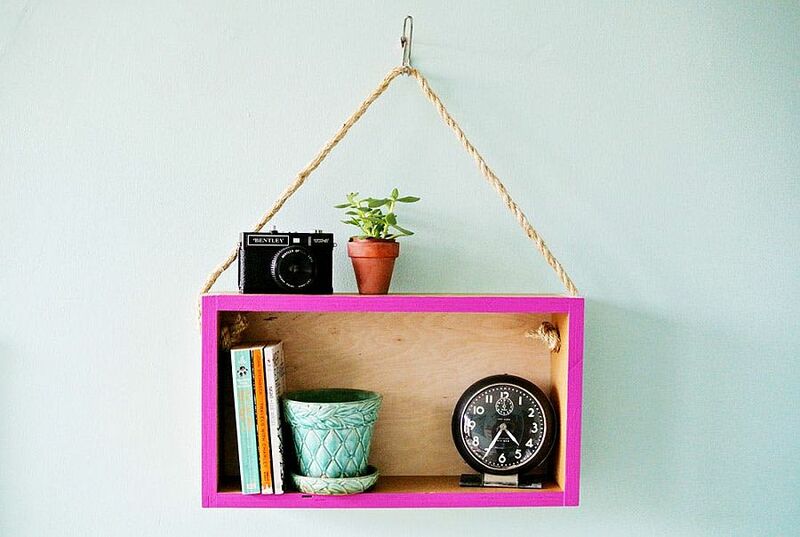 It is here that you will find the most important ingredients for your next DIY bookshelf! 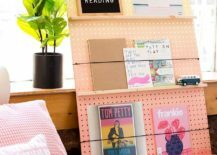 Turning that old door into a snazzy corner bookshelf and display might sound like a lot of work, but is a whole lot easier than you might imagine. It takes about a weekend’s hard work and your reward is a bookshelf that will have friends and guests talking at the next Holiday dinner. There are a couple of different ways in which you can turn those old drawers that saw better days into lovely bookshelves without spending too much time in the garage. 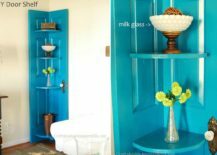 A can of paint, maybe a dash of wallpaper and some smart arrangement can get the job done. 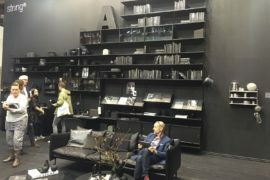 If you are worried about maximizing space, then turn them into wall-mounted shelving units and you also have an additional display unit. 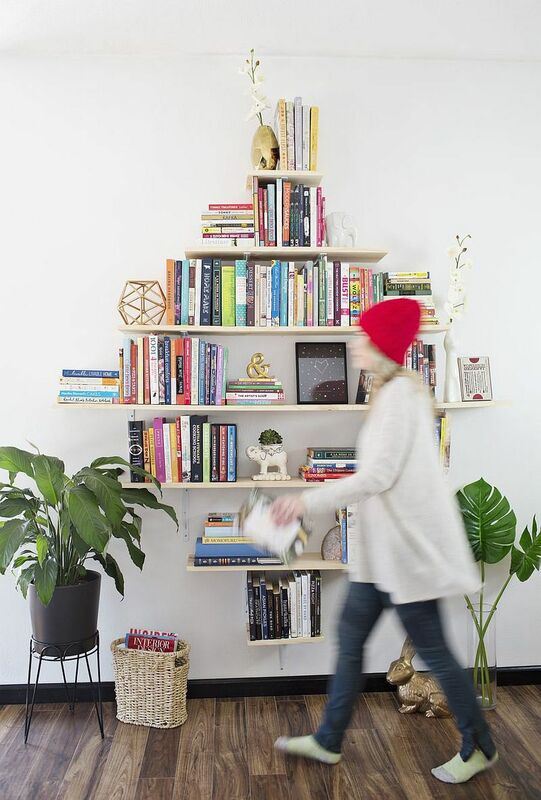 Not happy with a small or compact bookshelf? Looking for something that can handle your large book collection and then a few more? Not to worry, as we have some great DIY ideas for you as well! 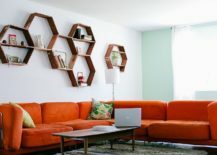 The DIY Diamond Shaped Bookshelf offers ample storage space does so without ever seeming bulky – both in terms of aesthetics and the space that it takes up. It feels modern, easy on the eyes and is as much at home in the living room or bedroom as it is in the home office. 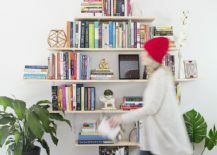 Creating the expansive DIY bookshelf like the one we found on instructables takes a bit more time, but you can see that it is well worth it all. Once you get a hang of the basic idea, it is also possible to alter the overall pattern and its vertical reach. 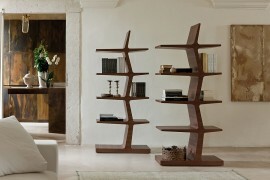 RELATED: From Modular to Minimal: Trendy Bookcases for the Bibliophile in You! 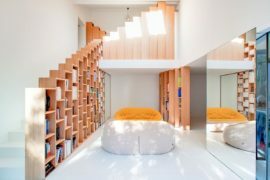 Custom Stepped Bookshelves Steal the Spotlight Inside This Posh Paris Home!